I ran in to a problem where users on the wired LAN could access a Microsoft cluster IP but not through the Cisco Wireless LAN. 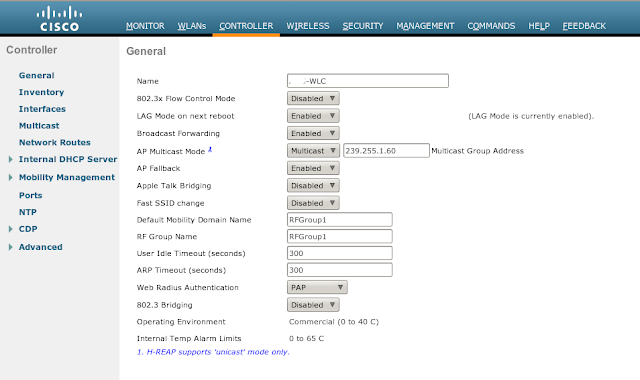 You could even ping the virtual NLB IP from the WLC itself. I found that the you need to enable a bogus multicast address on the Wireless LAN Controller under general settings and enabling multicast on the global settings. 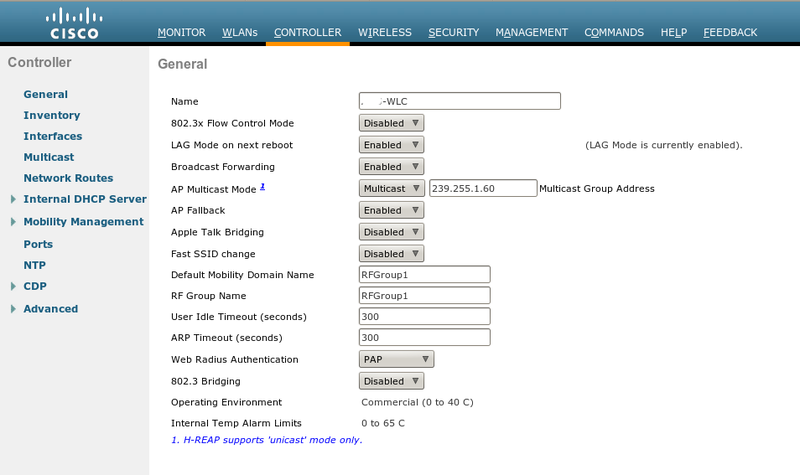 Controller - General - AP Multicast Mode to Multicast and define an IP. This should be enough if wireless users and the servers are on the same VLAN. Of course, if the servers are on a different VLAN, you need to enable multicast on your switches or routers. thanks! Had this exact scenario and your blog nailed it. Cheers.